Bait was all natural, mainly casters, hemp, maggot and some worms. I bought some Fin Perfect silvers groundbait from Andy G at the Big One on Saturday so mixed up a small quantity of that. 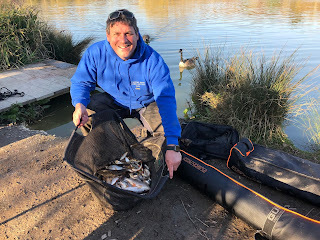 Kicked off the margin swim with a ball of groundbait and started to flick some casters in on the whip line and fed twice on the waggler line before flicking the waggler out. The float buried and I was into roach from the off. 10 minutes on the waggler with some good stamp of roach before they started to become smaller roach plus the catch rate felt slower than I knew I could get from the whip. Sumners match lake is pretty consistent when it comes to the silverfish and I was straight in bites and fish on the whip line too, again getting some better quality roach early before they backed off and the smaller fish started to come, so a change to the margin line to try and keep in touch with better fish. As predicted some better fish on the margin line and I was still in the first hour! 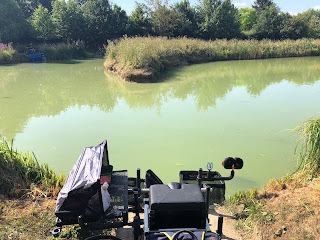 Of course the inventible happened and Mr large carp muscled in on the action this time the gamma green hook didn’t straighten so I had to land the lump before getting back on with the silvers. 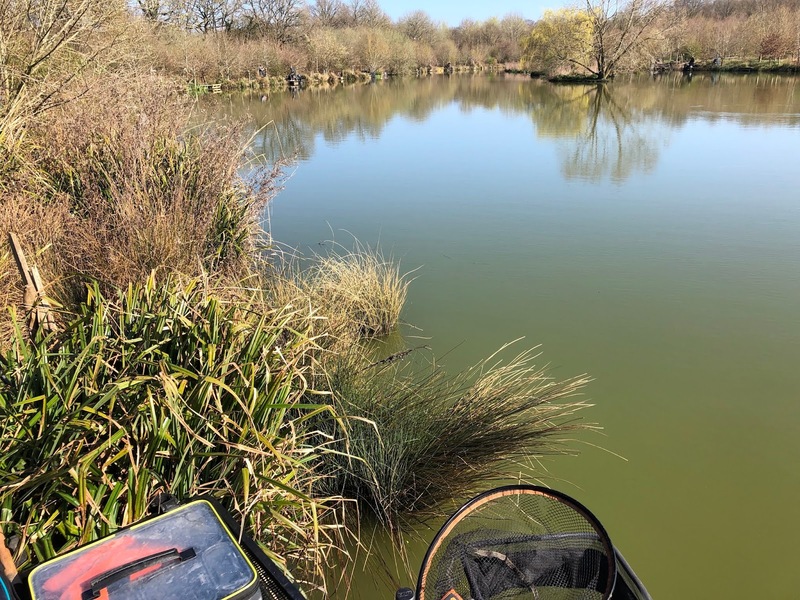 The whip and margin line where producing fish a lot quicker than the waggler could ever produce them so I would rotate between these two lines for the rest of the match. 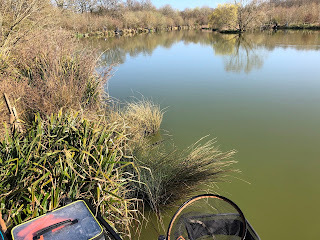 The whip line I decided to drop the margin rig over it to fish the line shallow to see if I could get in touch with the better fish which worked and some clonking roach where soon in the net. 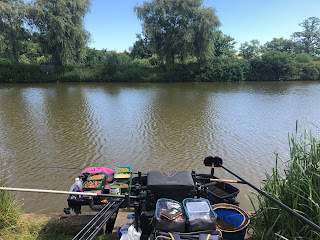 Again, Mr (or Mrs) carp muscled in, this time I was to loose my entire rig to the fish which is most upsetting when you are catching… bad angling Mark! One more battle cruiser of a carp on the whip which luckily straightened the hook however no bonus fish and the all out was called. 16lb 15oz bag of silver which was only good enough for 3rd in the five man section. A huge congratulations to Adrian Marshall on the series win with a perfect zero score (basically winning all rounds) and to Danny, Andy, Russ and Pikey in the top five. There were some brilliant bags around the lake. My section being won by Russ Shipton with 29lb-4oz mainly whip caught fish in the margins. 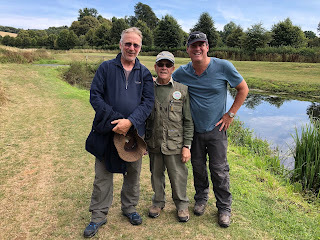 A fantastic day for me with bites all day long however no bonus fish at all. 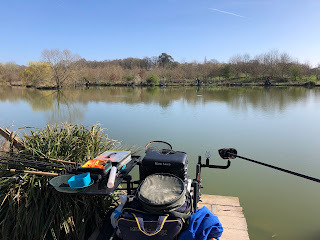 Fishing shallow certainly helped my catch rate and quality of fish however you had to chop and change to keep the better fish coming to the net. The waggler was too slow to keep the fish coming at the rate the other closer lines were producing. Not sure entirely what a could have done differently however there was one angling in the match who did it a lot differently, Dave Pearson, aka Pikey, fished to his strengths and fished paste in the margins to get a section win and some quality fish together with plenty of carp too! You can read his blog if you are friends with him on facebook.